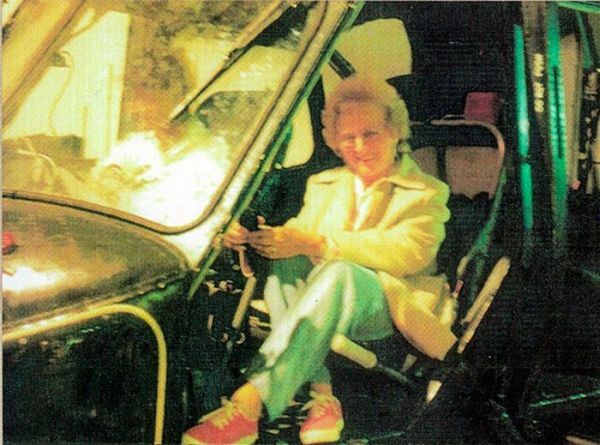 Mrs Sayer and a few of her friends were visiting the Royal Navy Fleet Air Arm Station Museum at Yelverton, Somerset, UK in 1987 when this photo was taken. They thought it would be neat to take a picture of her sitting in the seat of a helicopter that was on display. but in the photo, a figure/form in a white shirt or uniform can be seen sitting there next to her. She told an investigator with the Society for Psychical Research that she remembered feeling rather cold sitting in that seat, despite it being rather a hot day. Other pictures taken at the same time turned out black. Interestingly, the helicopter was used in the Falklands War, but there is no record as to whether or not a pilot died in that aircraft.